November 18, 2015 - Are Your Medicare Preminums Going Up in 2016? 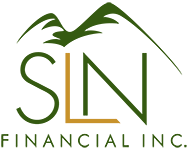 | SLN Financial, Inc.
How can you know if you will be subject to a premium increase? If you have not filed for Social Security benefits by the end of 2015. If you are not currently receiving Medicare Part B benefits (or enroll after January 1, 2016). If you are not paying Medicare Part B premiums as a deduction from Social Security benefits. If you are paying (or will pay in 2016) a Medicare Part B IRMAA (Income-Related Monthly Adjustment Amount) for high-income beneficiaries. If your Medicare premiums are paid by a state Medicaid agency. If you meet any of these conditions, you may see your premiums increase in 2016. In addition, the annual deductible for all Medicare Part B beneficiaries will increase by 13% to $166.00 next year.4 Since hold harmless rules don’t apply to deductibles, all recipients will have to swallow this increase. What can you do to manage increased Medicare costs? If you believe that you might be affected by Medicare premium increases next year, there are still a few things you can do to help manage cost increases. If you are eligible for Medicare and are considering enrolling in Part B, speak to a professional about the pros and cons of enrolling now during open enrollment. Talk to a qualified insurance expert to discuss how Medicare may fit in with your existing insurance or other healthcare provisions you may have made. Make sure that your retirement income strategies are structured for regular increases in healthcare costs. The state of the national debt makes it likely that retirees will see further increases in the years to come.